With its graphic form and minimalist design, a square shower head will lend an air of architectural styling to your bathroom. High performance meets high design. 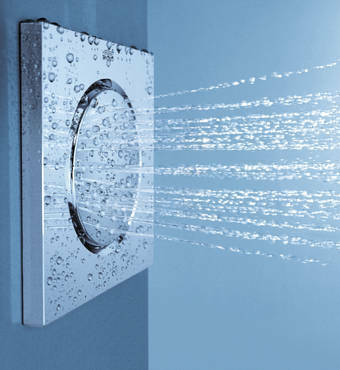 The latest shower heads combine authenticity, quality and reduced detailing. As the trend for larger showering areas with floor-entry shower trays and expansive frameless screens continues to grow, a square shower head will enhance the minimalist aesthetic of this new design-led showering environment. The Rainshower® F-Series range offers a choice of three different sizes of square head shower plus a directional side shower. 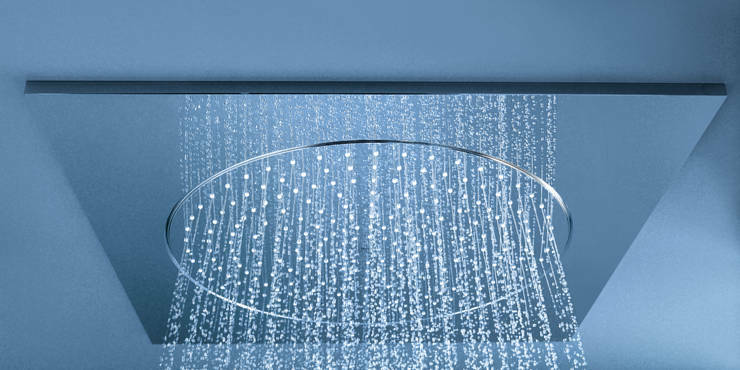 The large ceiling-mounted head shower features a circular shower head surrounded by a generous 20 inch square frame. The 10 inch model is designed for use with a shower arm and can be fixed to the wall or the ceiling. A smaller 5 inch wall-mounted shower head and a 5 inch square side shower complete the collection. Add a thermostatic shower mixer and a hand shower and you have all the elements required to create a luxurious and high-performance shower area.